I have worked with a half dozen different Realtor’s while living in Tucson and Radek is hands down the best Realtor I have ever worked with. I am usually the one on top of anything that comes up but Radek had point on every situation that required attention. He is exceptional at educating you on the buyer/seller process, for this area, and does an extraordinary job of keeping his clients well informed in advance of anything happening. Radek also has an excellent gauge for cost recommendations. When cost negotiations were necessary Radek seemed to have the same cost objectives that I had as the buyer. Many Realtors carry as many properties as they can hoping to maximize their sales with little concern for anything beyond a business transaction. 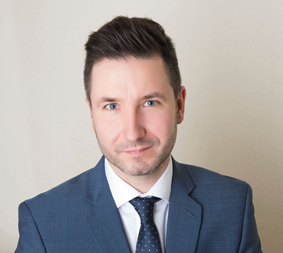 I believe Radek elevates your average Realtor experience looking for both the sale/ purchase and creating a lasting relationship with his clients. I would recommend Radek without hesitation and would be happy to answer any questions you may have about my experience with him.